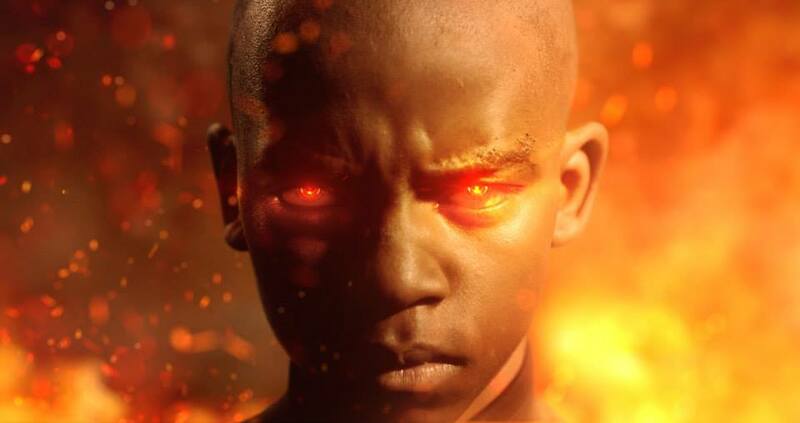 At some point, we began to kick around the idea of Black Speculative Fiction Month. Since Alien Encounters takes place in October, it made sense that Black Speculative Fiction month should also be celebrated in October. “So yesterday Balogun Ojetade, Morris Gardner (program coordinator for the Auburn Avenue Research Library) and myself were discussing the upcoming Alien Encounters program in October. We talked about a similar event being organized in the DC area the same month, and another event that will take place in Philly. At that point I brought up an idea Balogun and I were contemplating: let’s designate October Black Speculative Fiction month! Morris loved the idea. ‘Let’s claim it!’ he replied. And there you have it. We’re shouting it out as we speak, encouraging others to plan events highlighting Black authors of speculative fiction. We’re contacting libraries, encouraging them to spotlight speculative fiction books by and about black people during this month. Why? Because every day we meet Black people who have never imagined Black folks writing and reading speculative fiction; especially science fiction. Why? Because a recent poll among young people found that the most popular genres were science fiction and fantasy. Why? Because every prominent scientist in the US listed that they read science fiction. 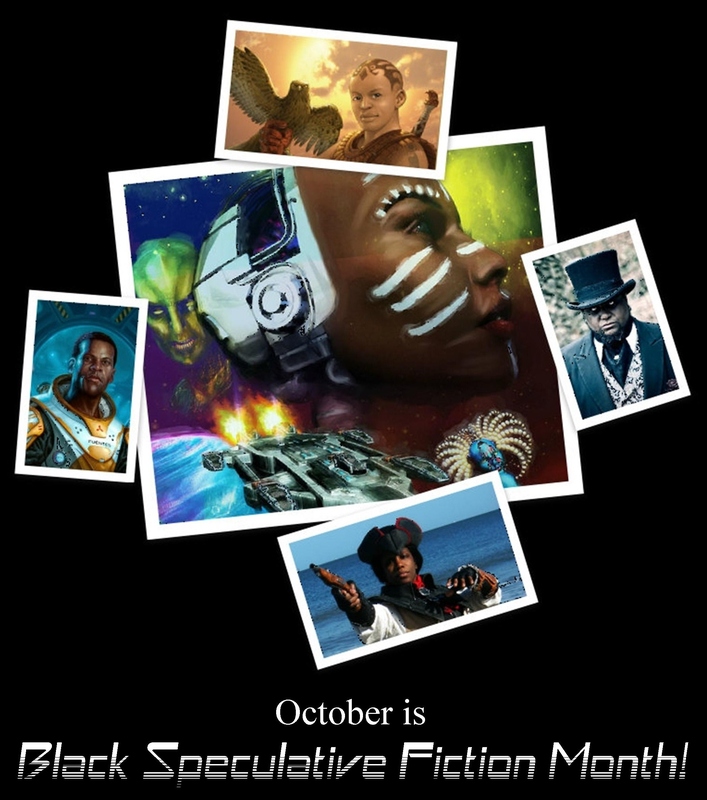 In celebration of this august – well, October – occasion, Milton Davis has launched the Black Speculative Fiction Month website, which features events, in celebration of the holiday, that are happening worldwide throughout the month. 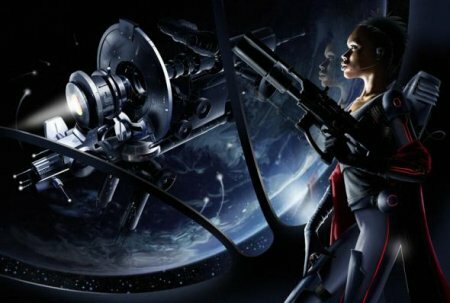 My Black Speculative Fiction Month gift to you – well, one of them, because there is much more to come – is a short list of Blacktacular books of speculative fiction, by – and about – Black people. The Keys by Balogun Ojetade – YOU choose to be one of the two heroes of the story: Jordan Drummond, college basketball phenomenon and math genius; or Theresa “Terry” De Fuego, self-proclaimed “extreme journalist.” YOU battle the forces of evil and maybe even save the world! YOU decide your destiny… for YOU are the Hero! Finally, if you would like to meet others interested in Black science fiction, fantasy and horror, join us at Alien Encounters IV and on the State Of Black Science Fiction Facebook group. 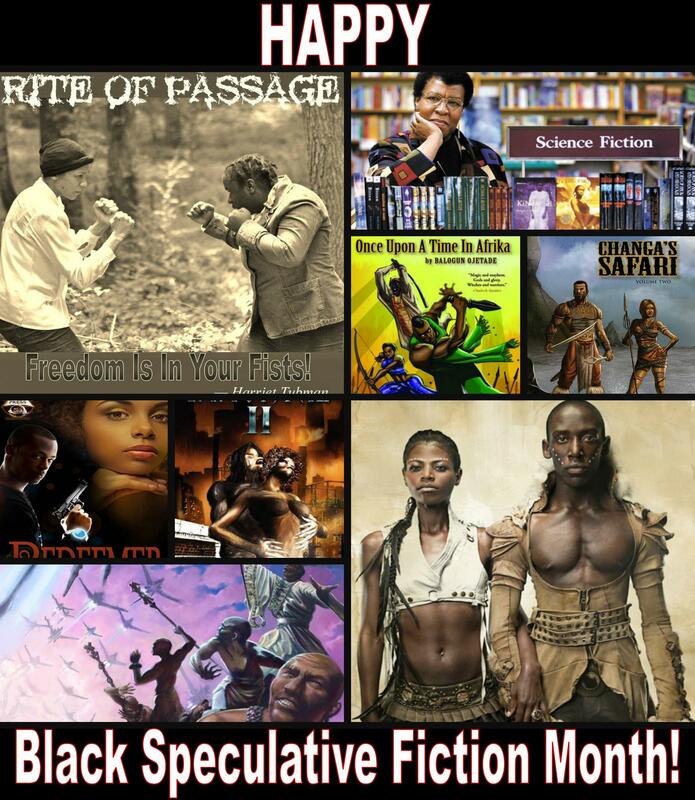 Posted by Balogun on October 1, 2013 in Afrofuturism, atlanta, Dieselpunk, Panel Discussion, Reviews, Science Fiction, Speculative Fiction, Steamfunk, Steampunk, Writers Workshop and tagged black science fiction, Black Speculative Fiction Month, steamfunk, steampunk. I am not familiar with this genre of writing. However, I am an aspiring author looking for inspiration, support and identification. I will definitely check out some of these listed writers as well as the aforementioned website. Brother Balogun, I love being included in this awesome line-up of black SF heavyweights! Thanks :)! Thanks for the excellent kick-off and the love, Balogun! You know I’m on board this train. Thank you, for giving us great speculative fiction, Cerece!